Concept Art House ventured down to L.A. this week to attend one of the largest gaming shows ever: E3 2015! Our sales and management teams were on-site at the event - touching base with old friends, meeting new clients and having an awesome time in general. Concept Art House also stopped by to visit the booth of our friends and clients: Seasun Entertainment. Seasun introduced their hit game, Relics of Gods, to the crowds at E3. Seasun made an impressive showing with giveaways, an incredible booth design, cosplayers, and stations filled with players trying out Relics of Gods. Concept Art House played an active role in creating the art for Relics of Gods, recording the soundtrack for the game at Skywalker Ranch, as well as assisting in production for the E3 show. 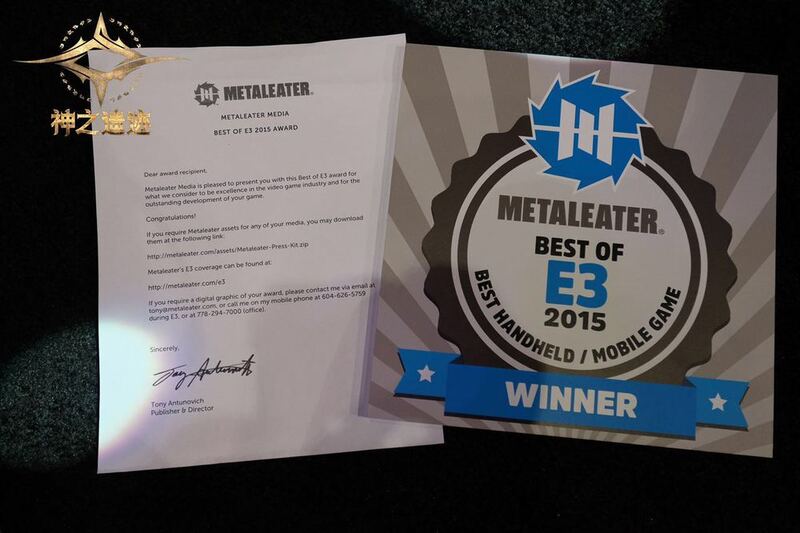 At the end of the show, Relics of Gods was awarded Best of E3 2015 - Best Handheld/Mobile Game. Congrats to everyone at Seasun Entertainment for developing an amazing game and congrats to the Concept Art House art teams who worked on Relics of Gods! Concept Art House CEO, James Zhang, at the Relics of Gods booth. Newer PostBig Fish's Gummy Drop is now available on PC!